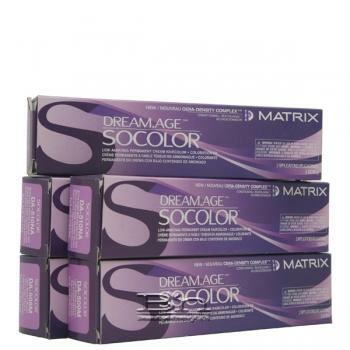 Matrix Dream Age SoColor Low-Ammonia Permanent Cream Haircolor New/Nouveau Cera-Density Complex. 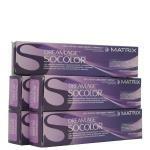 Richly pigmented, multi-reflective color for hair that's over 50% white. Low-ammonia formula with pre-softening technology ensures up to 100% grey coverage. Cera-Density Complex with Ceramide and Camelina Oil helps reinforce hair and restores body, suppleness and shine.